The North Woods is the largest of the Park's woodlands, offering a 40-acre forest retreat in the middle of New York City. Learn about the design of this serene landscape and how the plants and trees contribute to the health of an urban woodland community. Discovery Walks for Families are a great way for parents and children of all ages to learn about the nature and history of Central Park in fun and creative ways. 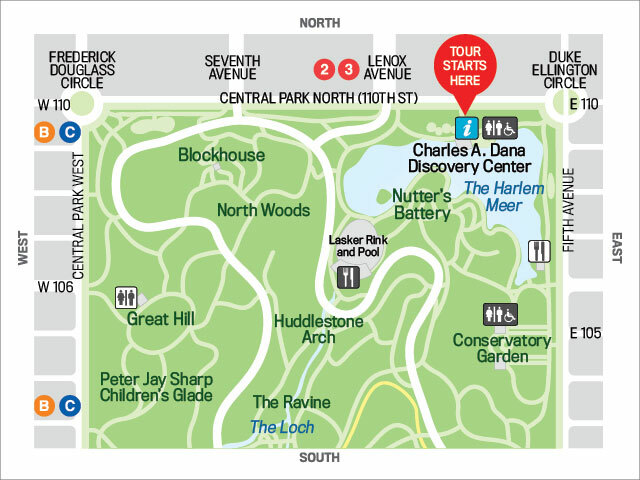 Meet: Charles A. Dana Discovery Center (inside the Park at 110th Street between Fifth and Lenox Avenues). Map of start location. Terrain: A few inclines, some stairs, and wood-chipped trails; may not be suitable for strollers. Cost: Free. Space is limited, registration required. Families with children ages 5+ only; no groups, please. Please arrive 15 minutes before the start of the Discovery Walk to allow time for check in.